Rudy Giuliani celebrated his 74th birthday at Yankee Stadium on Monday, and the crowd of 46,583 got him a present: a loud, cascading chorus of unrelenting boos. In searching for examples of Yankees fans booing someone they love, I came up empty. But I did come across an anecdote from game one of the 1996 ALCS, which will forever be remembered for 12-year-old Jeffrey Maier stealing a home run. 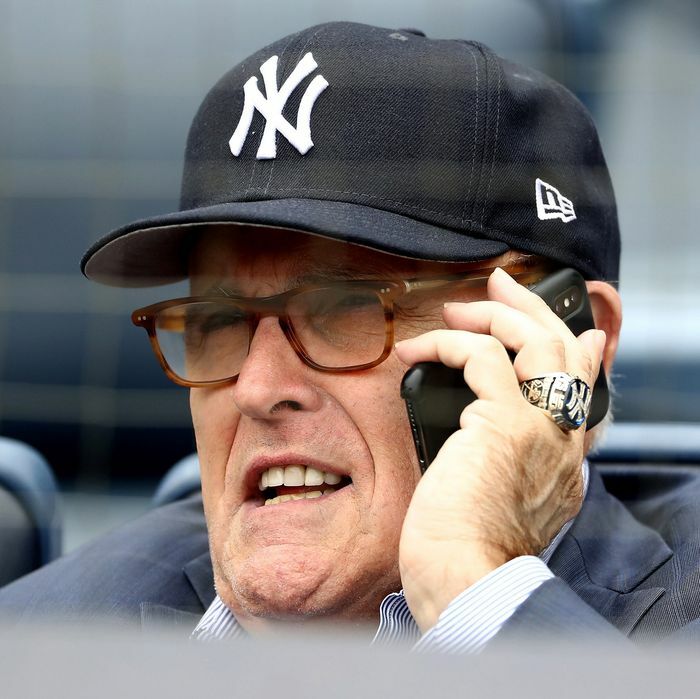 Giuliani was at the game and tried to orchestrate a mass show of disapproval for Baltimore second baseman Robbie Alomar, who’d spat in an umpire’s face during the ALDS. The mayor encouraged fans to turn their backs and give Alomar the silent treatment. They didn’t listen, but this could be evidence that, in Giuliani’s mind, booing is a loving gesture, while a turned back is the true sign of disapproval. If so, he’s the only one who thinks that. These fans, who claim to be among the boo-ers at Monday’s game, tweeted that they did so because they don’t like the guy. Nothing made me happier than booing Rudy Giuliani when they wished him Happy Birthday on the jumbotron at Yankee Stadium today. Screw that guy. I was there and i booed too 🤷🏻‍♀️idk why he thought going to the stadium was a good idea.